revealed government sources, said Thursday that Prime Minister Adel Abdul - Mahdi will first regional visits next Saturday , starting from Egypt. The sources told Mawazine News that "Prime Minister Adel Abdul Mahdi will begin his first regional visits on Saturday starting from Egypt." It will also include Prime Minister Adel Abdul Mahdi, Iran, Jordan, Saudi Arabia and Turkey. During his upcoming tour, Abdul Mahdi seeks to balance Baghdad's regional and international relations, and this balance will not prevent Baghdad from going too far in establishing privileged relations with Damascus on the basis of the unity of destiny. (SANA) - President Abdul-Fattah al-Sisi on Saturday met with Prime Minister Adel Abdul-Mahdi, where he held a session of talks to strengthen bilateral cooperation between the two countries and the Egyptian role in the reconstruction of Iraq. The meeting was attended by Egyptian Prime Minister Dr. Mostafa Madbouli, Foreign Minister Sameh Shukri, Defense Minister, Minister of Defense and Production, Dr. Mohamed Abdel-Ghaffar, Minister of Higher Education and Scientific Research Dr. Khaled Abdel Ghaffar, Minister of General Intelligence Abbas Kamel, General Mohsen Abdel Nabi, Director of the Office of the President and Ambassador Bassam Radi, Presidency. (Baghdad: Al-Furat News) Prime Minister Adel Abdul-Mahdi said that the level of projects and trade exchange between Egypt and Iraq is not up to the required level. Abdul Mahdi called on Sisi to visit Iraq. And held today in the presidency of Egypt in a session of talks between President Abdul Fattah al-Sisi and Prime Minister Adel Abdul-Mahdi and President Sisi and the Prime Minister of Iraq to the media. MP Alia Nassif said that the clarification issued by Prime Minister Adel Abdul-Mahdi and explained to the Iraqi people the reasons for his visit to Egypt, a new custom must make all government officials disclose the details of their travel. "The statement issued by the Prime Minister today, in which he apologized to the Iraqi people for having to visit Egypt in accordance with the invitation addressed to him in the interest of Iraq, is a new custom that must be followed by the rest of the government officials at all levels, or at least their media offices explain the details of their visits To the countries before they are carried out, the topics that will be included in the visit and the personalities that the official will meet. " Nassif added: "The issue of the travel of officials abroad and Iraqi government delegations has always been controversial in the Iraqi street and inside parliament, and perhaps this new custom will help in making us assess the benefit that will return to the Iraqi people from these visits," and expressed the hope that: " Abdul-Mahdi's visit to Egypt results in matters that benefit the Iraqi people. " 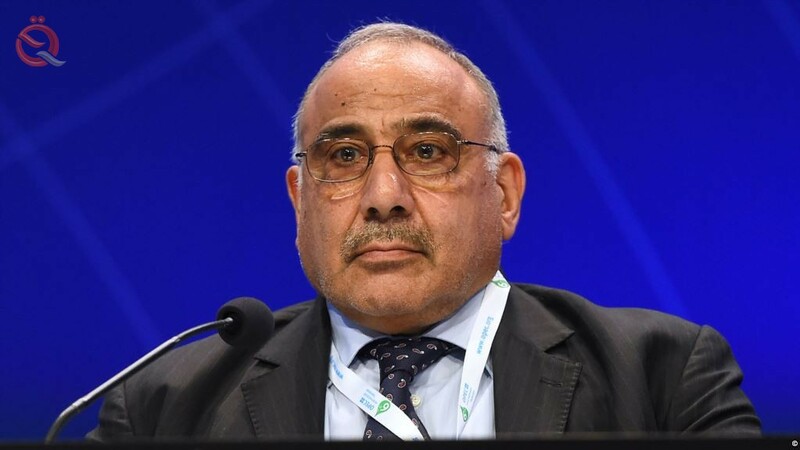 The head of the Council of Ministers Adel Abdul Mahdi on Saturday expressed his disappointment at the low rates of trade between Iraq and Egypt, despite the historical ties between the two countries. "There is no longer on the ground what is called the state of the caliphate and the groups have become a defeated schism here and there," Abdel Mahdi said at a news conference with Egyptian President Abdel Fattah al-Sisi. "Terrorism is a phenomenon that must be eradicated from its roots and its sources of funding Fundamental to not show up again. " "Iraq is seeking to strengthen our relations in the region, especially with Egypt," he said. "We are waiting for your visit to Iraq." "We have come to Egypt with open hearts to cooperate and overcome obstacles and to increase economic cooperation with all our brothers and neighbors and we agreed not to play any role in the axes and to promote friendship with all." "We have agreed on some basic principles to overcome the bureaucracies and obstacles that are placed in the face of joint efforts and to accomplish a few core projects that are better than many that are not implemented," he said. "We are not happy with the level of trade exchange between Egypt and Iraq. There are countries far from Iraq that have trade relations with us, and Egypt despite the relations. Despite the historical and current relations between the two countries, trade exchange is not ambitious," he said. Between the two countries is much higher, and include all available fields. " Shafaq News / Prime Minister Adel Abdul-Mahdi, on Saturday, issued a clarification on his government program. "My honorable people know that I have promised not to leave the country before finishing the necessary supplies to implement the government program," Abdul-Mahdi said in a statement to the news agency. "We have already completed the program and completed the tasks that were required to be accomplished during the first months of the government's life." He added, "I have postponed an important working trip to my sister Egypt many times, at the invitation of the President of the Sisi, and more than two months ago, the full arrangements are being made for the completion of the visit on 23-24 of this month, not just for the bilateral meeting with the Egyptian president, Where the Jordanian monarch also. " He added: "I am very embarrassed to leave the country in these circumstances, especially after the ferry incident in Mosul and the declaration of the state of mourning for three days, but the nature of the visit as a work visit to serve Iraq and the Iraqis and the importance of upcoming meetings and achievements of the country and the region, The visit again after complicated and long settings, I can not but go ahead with this visit and I will return to the country tomorrow, and I will keep abreast of all the situation, both in Nineveh or in the country. " The Prime Minister began his joint talks with his Egyptian counterpart Mostafa Medbouli on Saturday, in the presence of delegations from both countries. "The Prime Minister Adel Abdul Mahdi and his Egyptian counterpart Mustafa Medbouli held a joint session of the talks," Abdel Mahdi's office said in a statement received by Al-Akhbar. He added that the meeting was "in the presence of ministers from the two delegations." The Prime Minister, Adel Abdul Mahdi, since Saturday morning, ongoing talks with Egyptian personalities, headed by Egyptian President Abdel Fattah al-Sisi, and intends to hold a trilateral summit on Sunday with the Egyptian President and King Abdullah II of Jordan. [rtl]President Abdul Fattah al-Sisi announced today, during a joint press conference between him and Iraqi Prime Minister Adel Abdul-Mahdi, held at the Federal Palace, the holding of an Egyptian-Jordanian-Jordanian summit tomorrow. The three-way summit, which will bring together President Sisi, Iraqi Prime Minister Adel Abdul-Mahdi and King Abdullah II of Jordan, is a joint Arab cooperation for the benefit of peoples in the framework of mutual benefit and respect, said presidential spokesman Bassam Radi. Dr. Hisham al-Baqli, expert on the Arab issue, said that the summit was held at this time for the success of Iraq to rejoin the Arab ranks and success in achieving relative victories on the organization of "Da'ash" terrorist. Al-Baqli added that there are a number of issues likely to be discussed by the summit tomorrow, including cooperation in the field of combating terrorism and discussing ways of joint cooperation in this field. Dr. Sayed Mujahid, researcher at the Center for Egyptian Studies, said that the tripartite summit will address a number of important issues, highlighting a number of regional issues in Syria and Iraq, as well as the file of how to confront cross-border terrorism and exchange of information. Mujahid pointed out that a number of topics are expected to be discussed by the tripartite, including deepening the development, trade and economic relations and trying to strengthen them among the three parties. Prime Minister Adel Abdul-Mahdi announced that the volume of trade exchange between Iraq and Egypt amounts to 1.2 billion dollars annually. 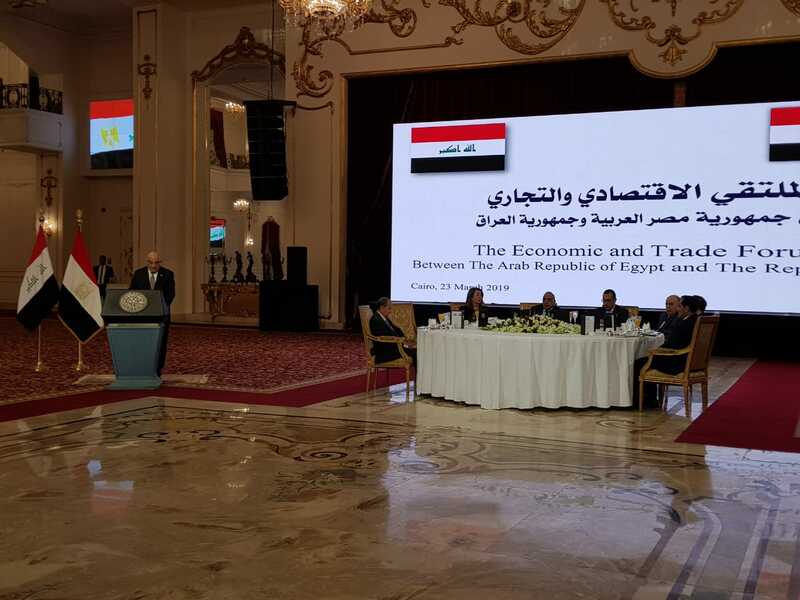 "The volume of trade exchange between Iraq and Egypt currently stands at 1.2 billion dollars," said Abdul Mahdi, speaking at the Iraqi-Egyptian Economic and Trade Forum. "This figure is very small and must increase during the coming period." Prime Minister Adel Abdul Mahdi said on Saturday that he is pleased to visit Egypt and meet with President Abdel Fattah Al Sisi and expressed his hope to meet with King Abdullah Bin Al Hussein to expand the relations of cooperation and cooperation. The first of which is "its great significance for the distinguished and historical relations between our two countries and peoples." He said: "We aspire to relations on a balanced basis in which we share economic interests and support the efforts of Iraq's reconstruction and the participation of Egyptian companies. Prime Minister Adel Abdul Mahdi, who arrived in Cairo on Saturday on an official visit and received by Egyptian President Abdel Fattah al-Sisi and Egyptian Prime Minister Mostafa Medbouli, held a " A bilateral meeting in the Federal Palace in Cairo, followed by an expanded meeting in the presence of members of the Iraqi and Egyptian delegations. " The two sides discussed "developing partnership relations, expanding economic cooperation and increasing trade exchange for the benefit of both countries and peoples, enhancing security and stability in the region and unifying efforts against terrorism, which represents a common enemy." "Our visit to Egypt and our joint cooperation offer a lot of hope to our two peoples and to all the peoples of the region and the neighboring countries," he said, expressing his happiness to visit Egypt and meet President Abdel Fattah al-Sisi. "We came to Egypt with open hearts to cooperate and overcome obstacles and to increase economic cooperation with all our brothers and neighbors and we agreed not to play any role in the axes and to enhance friendship with everyone," he said. "He said, adding that" the Iraqis have defeated terrorism and are serious in building their future, and we look forward to meeting the trilateral summit in the presence of King Abdullah bin Al Hussein to expand the relations of partnership and cooperation. " For his part, the Egyptian president welcomed "the Prime Minister on behalf of all Egyptians and thanked him for choosing Egypt as his first visit to the great significance of the distinguished and historic relations between our two countries and our peoples." Sisi expressed his "solidarity with the Iraqi people," praising "the achievements of the sons of his sons and the liberation of his cities from dashing." Al-Sisi called for "the completion of Arab and international efforts to fight terrorism and eradicate it and to proceed to build the future of Iraq." He added that "the topics of economic cooperation have advanced the talks and we aspire to relations on a balanced basis in which we share economic interests." In a joint press conference followed by the talks held at the Federal Palace, the Prime Minister said that his visit to Egypt is his first since he assumed the post of Prime Minister and its significance that reflects the importance of Egypt in the heart of the leadership and the people of Iraq. .
Abdul Mahdi, who expressed his happiness to have a desire and a common will of the leaders and peoples of the two countries to move forward in strengthening relations and development in all areas, he explained that the talks with President Sisi discussed ways to strengthen relations in various fields and transfer to a broader rehab with Egypt and neighboring countries, stressing that Egypt is sister The greatest of Iraq. He added that Iraq today is a friend of the countries of the world and neighboring countries and does not wish to repeat conflicts and previous axes, noting that work and effort is the basis for the survival and preservation of peoples. The Prime Minister pointed out that Iraq has faced terrorism, stressing that terrorism is systematic and not organized and must be eliminated and drying up its sources. "We are looking forward to the tripartite summit on Sunday with Egypt and Jordan in order to organize and deepen the relations," he said. And transferred to a larger Rehab. Abdul-Mahdi said that his country is determined to continue the positive role to build strong relations with Arab and regional countries, particularly Egypt. While noting that Iraq today has no enemies but terrorism, poverty, illiteracy and unemployment, the price of President Abdel-Fattah al-Sisi talk about the need to exert effort to build nations . The Prime Minister pointed out that he is not satisfied with the level of trade relations between Egypt and Iraq, expressing his aspiration to increase the volume of trade exchange between the two countries, noting that Iraq has great business dealings with many countries. In conclusion, the Prime Minister thanked Sisi and Prime Minister Dr. Mustafa Medbouli, expressing the hope that relations between the two countries will always develop for the better. For his part, Egyptian President Abdel Fattah al-Sisi said at a joint press conference that during his talks with the Iraqi prime minister, he felt that there is a real desire for a new, strong and promising Iraq that will open its arms to all Iraqis. Al-Sisi said that there are broad prospects for the two countries to achieve their ambitions, stressing that it was agreed to exchange high-level visits between the two countries, and the holding of the Joint High Committee. The Egyptian president offered condolences to the Iraqi people and the Iraqi government in the sinking of the Mosul ferry, and conveyed the Egyptian people's greetings to the brotherly Iraqi government and people. Al-Sisi renewed his congratulations to the Prime Minister on his assumption of office, expressing his pride and appreciation for his choice of Egypt as his first foreign visit, which reflects Egypt's high prestige in Iraq and reflects the great interest Egypt attaches to its distinguished relations with Iraq. In light of the historical and fraternal relations that have existed between them since ancient times and the affirmation of our common desire to lay the foundation for a new era of cooperation and coordination between us and to build on our mutual interests and interests to move towards strengthening bilateral relations on the various fronts. E, so as to achieve the aspirations of the two countries and the two brotherly peoples in the further growth and prosperity. Al-Sisi said that the visit is a good occasion to celebrate together what Iraq has achieved so far with the sons and daughters of its various groups and its achievements to achieve its security, stability and territorial integrity and liberate Iraqi cities from the control of the terrorist organization after many years. He stressed the need to complete the Arab and international efforts to combat terrorism in all its forms and manifestations. The dreaded epidemic can only be eliminated through a comprehensive confrontation, including resolutely confronting all those who support terrorism or extremism with money or arms. I also call on the international community to put in place an effective mechanism to deal with the phenomenon of the movement of foreign terrorist fighters from the conflict zones and their spread in the rest of the region as a consequence of the phenomenon of terrorism. Al-Sisi stressed that he has rightly touched on the Iraqi prime minister's political will and determination to complete the efforts to build a strong and promising new Iraq that will open its arms to the people of the country and to further open relations with Egypt and all the Arab brothers and develop relations of cooperation and economic integration among them. .
"We have agreed on the importance of coordinating positions between us on the current regional situation and the various crises in the region, especially with the forthcoming Arab summit in Tunis coming to the end of this month," he said. The Egyptian president said that the topics of economic cooperation have been a high priority, based on the capabilities of the two countries, and the desire to benefit from the potentials and expertise available on both sides in various fields, in particular to contribute to the reconstruction of liberated Iraqi areas, in the presence of many Egyptian companies and businessmen who And the experience of Egypt in the establishment of major national projects recently, on the basis of mutual benefit and balanced, taking into account the existence of wide horizons, enabling the two countries to achieve economic breakthroughs in the future in cooperation with the most powerful Ina Arabs will replace this broad discussion with Jordan's King Abdullah II during our summit triple, God willing. In this context, we agreed on the necessity of activating the mechanisms of bilateral cooperation that already exist between us, especially the immediate start of preparations for the High Joint Committee of the two countries to be held in Baghdad under the leadership of the two prime ministers, and the exchange of high-level visits on both sides. And possible cooperation projects for their implementation. In addition, Prime Minister Adel Abdul-Mahdi called for giving the economy greater importance in Iraqi-Egyptian relations, focusing on specific projects that are feasible and the need to hold the Iraqi-Egyptian High Joint Committee meeting in Baghdad next month. This came during the joint talks between the Prime Minister and his Egyptian counterpart Dr. Mustafa Medbouli, which was held at the Egyptian government headquarters in the presence of ministers from both delegations. "We must have clear and specific visions and implementable projects, work to grant investors access and cooperation between religious and educational institutions, and build a system to fortify our countries and societies," Abdul Mahdi said. His people are expensive sacrifices and must achieve his aspirations for stability and reconstruction and find an attractive investment structure. "We hope that Iraq will achieve economic growth, increase its strength and stability, and that the meetings will contribute to bilateral relations," he said. The meeting was attended by a large delegation accompanying the Prime Minister, which included the ministers of oil and foreign affairs, planning, communications, reconstruction, housing, higher education, scientific research, industry, labor, social affairs and trade, as well as representatives of the House of Representatives and a number of deputy ministers, Arabic. During his visit to the Egyptian People's Assembly, the Prime Minister affirmed that Iraq is a pluralistic parliamentary country and that the constitution is the ruler among the political forces. "We have been keen to have with us on our first visit to Egypt a large delegation of ministers, officials and businessmen. Economic relations should be the goal of achieving the interests of the two peoples and facilitating the entry of men," said Abdul Mahdi, according to a statement by his media office. 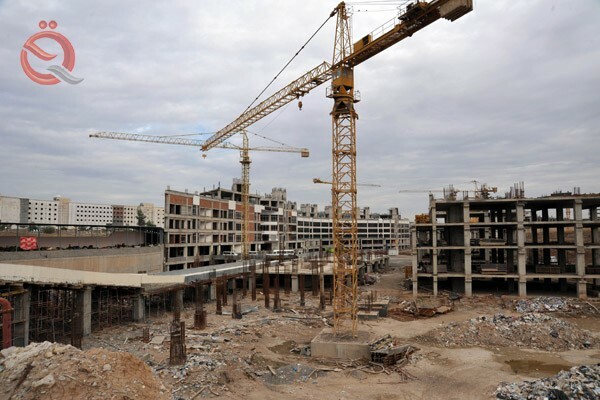 Businessmen and investors to Iraq to contribute to the process of reconstruction and construction. " "Our country is cooperating with everyone and rejects the policy of axis and war that destroyed our countries and peoples," he said. "The Iraqi woman has a big role and an active presence in the political process, democracy and all aspects of life and represent 25 percent of parliament." 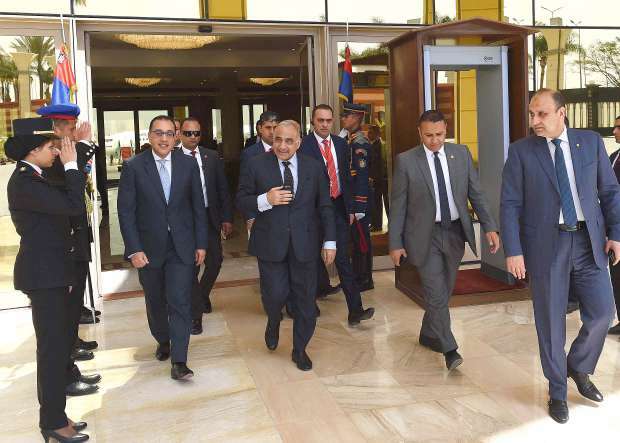 The Egyptian People's Assembly Speaker Ali Abdel-Al welcomed the Prime Minister and his accompanying delegation, stressing that "Iraq and Egypt are one and that Egypt has gone through difficult circumstances, such as what Iraq has gone through and has been overcome." Abdel-Al wished Iraq "to develop and flourish," expressing "the happiness of the Egyptian government and people, the progress achieved and the unity of the Iraqis who defeated this satanic organization called"
"Egypt looks forward to working hard on cooperation between parliamentarians," Abdel-Al said. "Egypt has an investment structure and companies with expertise to contribute to the reconstruction of Iraq and it is working to facilitate the entry of businessmen and citizens." 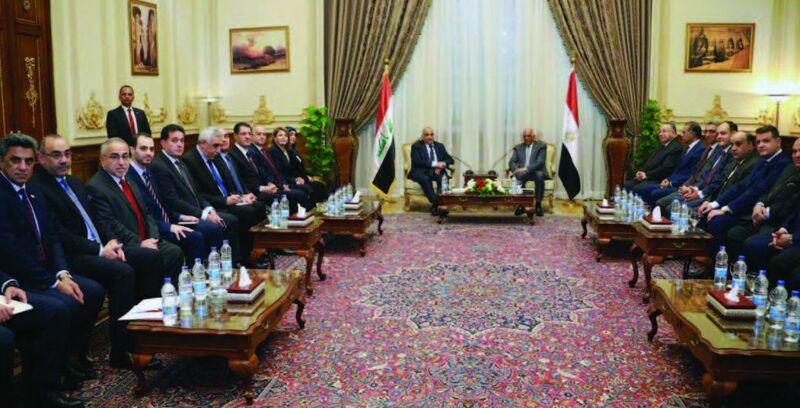 The meeting was attended by a number of members of the Iraqi and Egyptian parliamentarians. The Prime Minister, Adel Abdul Mahdi, has issued a clarification on his visit to Egypt at the invitation of Egyptian President Abdel Fattah al-Sisi, saying that he was "very embarrassed to leave" the country in this case after the incident of Mosul and declaration of mourning in the country, but stressed " Visit again. "My honorable people know that I have promised not to leave the country before finishing the necessary supplies to implement the government program. 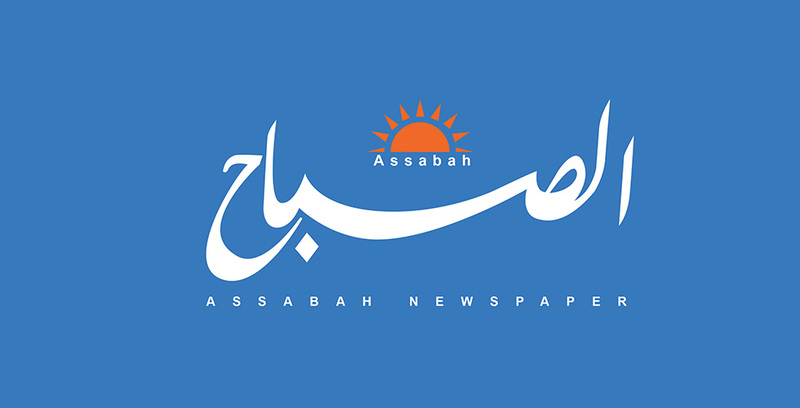 We have already completed the program and completed the tasks that were required to be accomplished during the first months of the government's life," Abdul Mahdi said in a statement received by al-Sabah. "I postponed an important work trip to Egypt's sisterly sister many times at the invitation of the Sisi president. More than two months ago, the full arrangements for the visit were being held on 23-24 of this month, not only for the bilateral meeting with the Egyptian president, A tripartite meeting in which the Jordanian monarch will also participate. " The Prime Minister said: "I am very embarrassed to leave the country in these circumstances, especially after the ferry incident in Mosul and the declaration of the state of mourning for three days, but the nature of the visit as a work visit aimed primarily to serve Iraq and the Iraqis and the importance of upcoming meetings and achievements of the country and the region, The visit again after the complicated and long settings I can not but go ahead with this visit and I will return to the country today, "concluded by saying:" I will keep abreast of all the situation, both in Nineveh or in the country. " Prime Minister Adel Abdul Mahdi said on Sunday that the agreement between Iraq, Egypt and Jordan would greatly ease the great role played by these three countries. "The tripartite summit is a major turning point in the future of our shared relations and the interests of our peoples," Abdul Mahdi said in his speech at the opening of the trilateral summit. He added that 'our agreement will be pleased by many of the great role played by the three countries'. He pointed out that 'economic projects, reconstruction, housing and electricity at the forefront of our concerns and the needs of our people'. The Egyptian-Jordanian tripartite summit in Cairo opened Sunday with Prime Minister Adel Abdul-Mahdi, Egyptian President Abdel Fattah al-Sisi and Jordanian King Abdullah II. 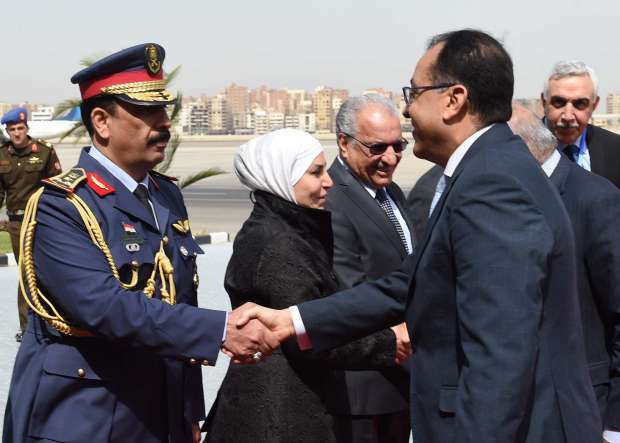 It is noteworthy that Abdul Mahdi arrived, Saturday (March 23, 2019), to the Egyptian capital Cairo on a two-day official visit. Egyptian President Abd al-Fattah al-Sisi and Iraqi Prime Minister Adel Abdul Mahdi and Jordan's King Abdullah II agreed to strengthen cooperation in areas of industrial zones and infrastructure, and increase trade and investment, the statement said. The statement stressed the importance of completing the comprehensive battle against terrorism, especially in the light of the victory achieved by Iraq in the battle against the organization calling for terrorism, and the sacrifices made by the Iraqi people in this context, and the end of spatial control of the organization in Syria. He stressed 'their full support for the Iraqi efforts to complete the reconstruction and return of the displaced and to ensure the rights and rights of its citizens violated by the terrorist gangs, which was prepared by the relevant UN Security Council resolutions of war crimes and crimes against humanity and genocide'. The leaders also agreed on the importance of meeting periodically to coordinate positions and policies among the three countries in order to realize the interests of their peoples in the stability and economic prosperity and achieve common goals through cooperation with fraternal and friendly countries and building balanced international relations. attended the Minister of Commerce Mohammad Hashim al - Ani, the Economic Forum for Iraqi businessmen and Egyptian businessmen , which was held in Cairo on Tuesday in the presence of Prime Minister Adel Abdul Mahdi and his Egyptian counterpart. The forum, which was attended by a group of Iraqi and Egyptian businessmen, discussed economic, trade and bilateral agreements between Egypt and Iraq in the public and private sectors. "The forum's discussions will contribute significantly to stimulating trade and economy between the countries of the region, especially Egypt and Iraq, which are considered an effective force in the Arab economy through the agreements that will be signed between the two sides during the work of the joint committee which is expected to be held," Al-Ani said on the sidelines of the conference. Meetings in the capital Baghdad, and it will introduce Egyptian businessmen to investment opportunities in Iraq in the context of reconstruction. " He added that "the agreements discussed with the Egyptian side will benefit the economic and commercial benefit to the Iraqi and Egyptian people," noting that "the government program of the government includes economic openness to countries, which leads to increase the volume of investment in Iraq." The Minister of Commerce also participated in the tripartite summit between Prime Minister Adel Abdul-Mahdi, Egyptian President Abdelfattah Al-Sisi and King Abdullah II of Jordan, which was held in Cairo today. "The Iraqi government sees priority in the participation of Egyptian companies in reconstruction efforts in Iraq because of their experience in recent years in achieving high achievement rates in national infrastructure projects," said Mohamed Ahmed Hashim, general coordinator of the Egyptian Mission for the Reconstruction of Iraq. Egypt". The executive director of the group "BtoB ", that " the Egyptian companies that have gained a great reputation will be invited next month for Iraq 's reconstruction plan and the various stages which wereestimated from the World Bank worth $ 88 billion." He pointed out that the priority for the Egyptian participation is in the general contracting companies, housing, construction materials companies and factories of all kinds. He pointed to the great interest of Iraq and Egypt in enhancing cooperation in the oil field in light of Cairo's aspiration to become a regional energy center, which coincides with Baghdad's desire to diversify. Export outlets in the light of the huge reserves enjoyed by Iraq and ranks third in the world. 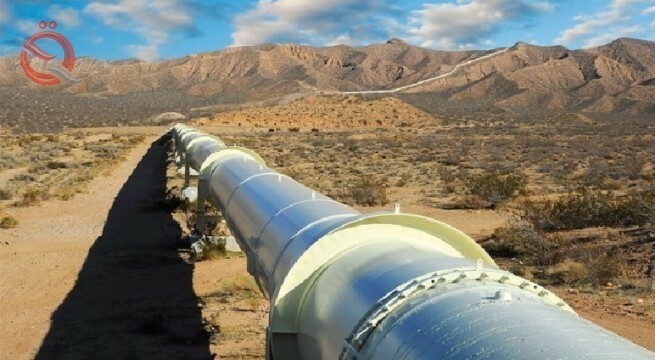 Ahmed al-Sahaf, a spokesman for the Foreign Ministry, said that Iraq supports the strengthening of energy integration with Egypt through the oil pipeline project from Basra to Aqaba in order to diversify export outlets of Iraqi oil. "We believe in the importance and necessity of expanding the various strategic partnerships to provide new opportunities for investment and economic prosperity that are consistent with the post-Saddam era and the reconstruction and empowerment phase," he said. 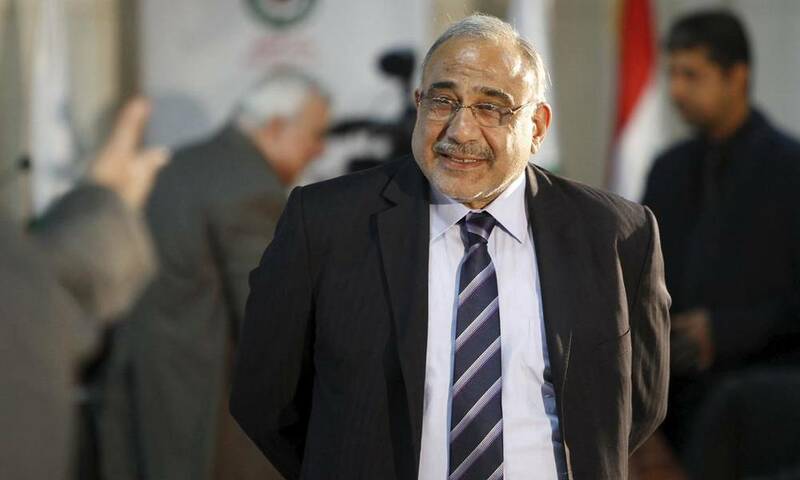 Iraq will hold an economic conference in Baghdad on April 7, 2019, in the presence of Egyptian companies from all sectors, the head of the Iraqi Economic Council, Ibrahim al-Baghdadi, announced Tuesday. "The latter participated in the events of the Iraqi-Egyptian economic forum with the official delegation of the government and businessmen," a statement issued by the council said. "The meeting resulted in another meeting in Baghdad on 7/4/2019. , Where a conference will be held for the reconstruction of Iraq and the presence of several Egyptian companies from all sectors. The delegation was headed by Prime Minister Adel Abdul-Mahdi, who included the Minister of Oil Thamer, Minister of Foreign Affairs Mohammad Ali Al-Hakim, Minister of Planning Nuri Sabah Al-Dulaimi, Minister of Industry Saleh Abdullah Al-Jibouri, Minister of Construction and Housing, Minister of Justice, , Minister of Trade and Industry Mohammed Abdulrahman Majeed, Minister of Higher Education and Scientific Research Qusay Abdul Wahab Al-Suhail, Minister of Communications Naeem Thajil, Minister of Labor and Social Affairs Basem Abdulzaman Majeed, Iraqi Member of Parliament Ala Talabani, The head of the army's staff, Othman al-Ghanmi, the head of the National Investment Authority Sami Raouf al-Araji, the deputy interior minister Aqeel al-Khazali, the head of the National Security Agency, And Deputy Minister of Finance Maher Hammad Johan. The statement pointed out that "the participation of (12) businessmen within the Iraqi delegation are the President of the Iraqi Economic Council Ibrahim Masoudi (Baghdadi), the President of the Federation of Iraqi Industries Ali Sobih, and the President of the Iraqi Contractors Union Ali Fakhir Snafi, and the President of the Federation of Chambers of Commerce Abdul Rahman Al-Zuhairi, Vice President of the Association of Iraqi Banks Ali Muftan Al-Rubaie, member of the Energy and Iron and Steel Industry and Cement Iraqi Economic Council Ahmed Ismail Saleh, First Deputy Chairman of the Iraqi Economic Council Saadi Wahib, Second Deputy Chairman of the Iraqi Economic Council Ali Fadel Shamara, Iraqi politician Mahmud Raouf Karim al-Barzanji, member of the Iraqi Economic Council Mohammed Abdul Latif al-Banna, member of the Iraqi Economic Council Saad Tayeb Hussein, and contracting and general trade Daham al-Kaoud. He explained that "Egyptian businessmen stressed the importance of Egypt's return to the Iraqi market, whether through intra-trade or open investment opportunities there to contribute to the reconstruction of Iraq and the building of a" new Iraq. "Adding that" the first steps of the economic and trade forum between Egypt and Iraq, The two countries, are back again to Baghdad. " For his part, President of the Federation of Chambers of Commerce, Ahmed Wakil, according to the statement, that "the Union consulted with officials in Iraq in general on the possibility of joint action to establish an integrated partnership ultimately lead to benefit from the comparative advantages of countries in all sectors." He added that "future meetings between the Egyptian and Iraqi parties will also see consultation on guarantees and facilities to activate joint trade again." 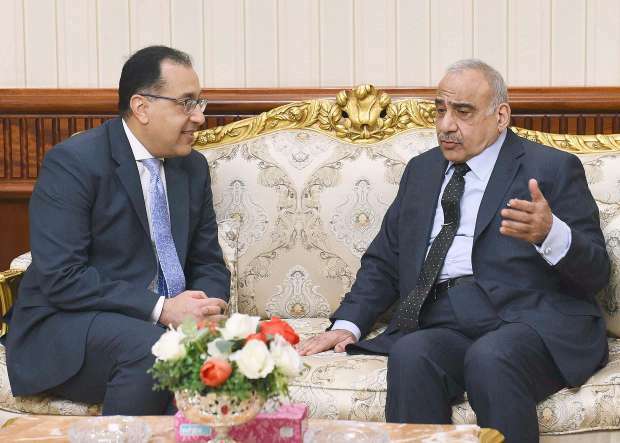 "There are excellent investment opportunities for Egyptian businessmen in Iraq," Ahmed Al Suwaidi, head of the Egyptian side of the Egyptian-Iraqi Business Council, said. "There are other meetings with officials and investors to discuss the opportunities." "A three-way summit was held in Cairo, which included Prime Minister Adel Abdul-Mahdi, Egyptian President Abdel Fattah Al-Sisi and Jordanian King Abdullah II. The summit issued a final statement, the most important of which was the promotion of integration and economic cooperation between the three countries, And cooperation in the energy, infrastructure, reconstruction and other sectors of development cooperation, in addition to increasing trade exchange, promoting joint investments and developing cultural cooperation relations among them. " It also discussed the practical steps for Egypt's participation in the Iraqi-Jordanian oil pipeline project, which will extend from West Thar Tharhar Lake to the northwest of Baghdad and extend through Anbar province to Aqaba port on the Red Sea. Egypt will begin planning the pipeline from Aqaba to Sinai "He said. It also decided to "set up a working group to follow up the work of this summit under the auspices of the three leaders to coordinate economic, development, political, security and cultural cooperation, and agreed to resume the meeting at a date and place to be agreed upon." Prime Minister Adel Abdul Mahdi said on Tuesday that Iraq has joint markets with Jordan and Egypt. "Iraq has joint commercial markets with Jordan and Egypt and is working to deepen trade cooperation in various sectors," Abdul Mahdi said at his weekly press conference.